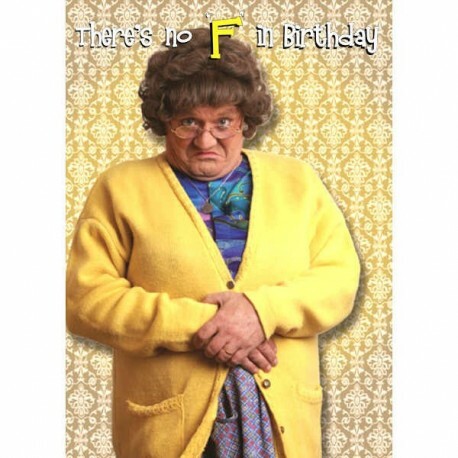 This Mrs. Brown’s Boys Feckin Birthday Card is the perfect way to wish a fan a very happy birthday! 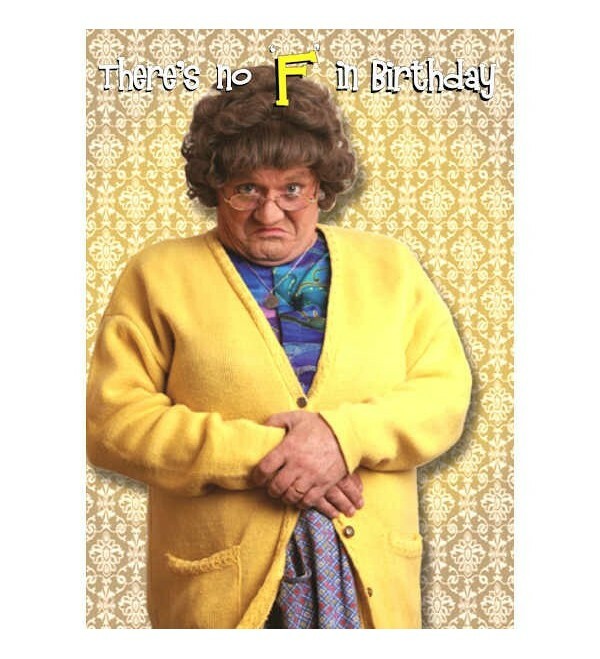 This Mrs. Brown’s Boys No F Birthday Card is the perfect way to wish a fan a very happy birthday! It features the saying “There’s no F in birthday” on the front and an inside message that reads "...and there's no F in present either! Happy Birthday". Lots of space to write your own personal message as well.